These icons were sold on apparel in the years of 1994-present day as separate iconic images. 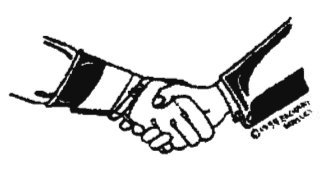 Only the artwork titled “The Worker and Management Handshake Logo” shall be transferred by this written agreement in Ideas N Mind, Inc., an Illinois Corporation …. Who has a claim for copyright infringement?